While in Khan el Khalili we checked out Mahmoud Abd El Gahaffar and Yasser. 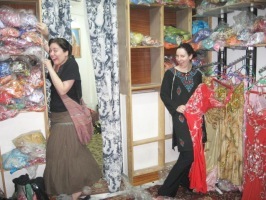 The group also looked at costumes by Aziz, Eman Zaki, Hanan, Hallah and Aida Nour. I gave the last two a miss as I was all costumed out - and I had already found two costumes I liked. 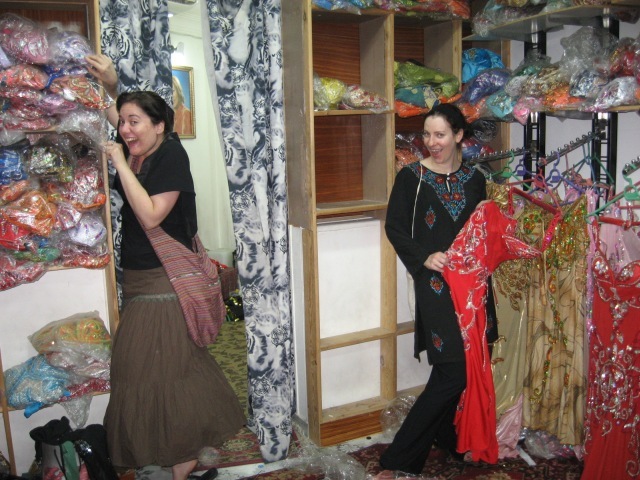 At Hanan's I found a beautiful dress which needed only a small amount of work before I could walk out with it. Here's a taster (and yes if you click them you can get a larger image).